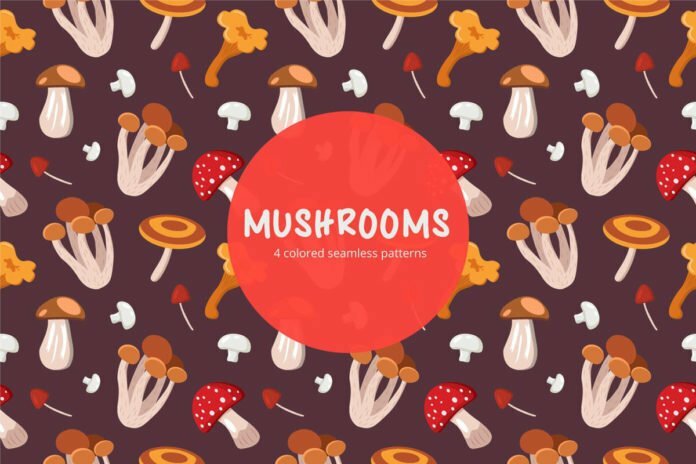 Free Mushrooms Vector Seamless Pattern is a quality set of graphics for designers. It includes 4 main background color options. With this design you can create many interesting things. 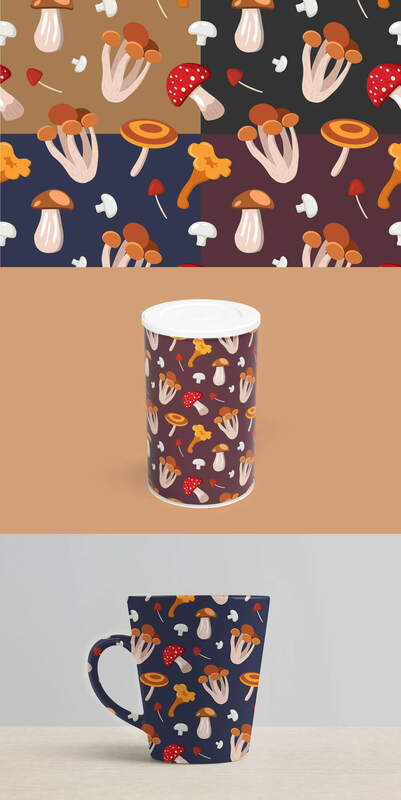 For example, paper napkins and bags, different dishes, gift wrap, greeting cards, notebooks and other printed products. These are free for both personal and commercial purposes.